Sterling silver "Mom" bead measures 9mm x 10mm. This bead has 3 white cz accents and 1 pink cz accents. Bead opening is 4mm to fit most bead bracelets. 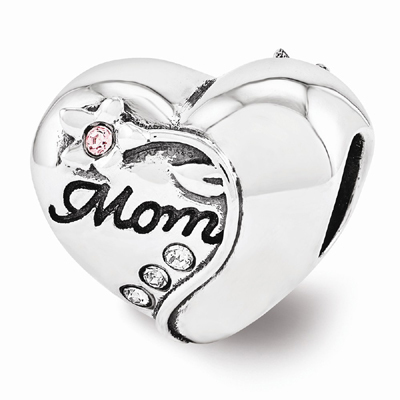 We guarantee our Swarovski Mother's Heart Bead in Sterling Silver to be high quality, authentic jewelry, as described above.